Photographe de portraits contemporains à Genève. Spécialisé dans les portraits d’entreprises et headshots professionnels à Genève, Patric Pop propose également des photographies de portrait contemporaines. Votre séance photo va célébrer votre beauté naturelle à un tournant de votre vie et avec les collections dans le Foliobox, vous recevrez un souvenir éternel. Un excellent éclairage, un coaching détaillé pour un ajustement parfait pour votre corps et un talent pour montrer votre vraie personnalité, votre attractivité et augmenter votre confiance en vous dans les plus beaux portraits que vous puissiez imaginer. Il s’agit de VOUS célébrer et de vous faire paraître fantastique. Portrait du chiropraticien Steve Haines. Cette image est une série d'ateliers pour les professeurs de yoga. La jambe parallèle au sol rappelle certaines postures de yoga. Ceci est accentué par la boîte «applebox» qui est parallèle en dessous de la jambe. Haven’t you ever wished that you looked on photographs like you do in your head: elegant, effortless, smart, blissful and radiating self-esteem? In one word, feeling attractive and confident. Contemporary Portrait Photography is not a stereotype, rather a feeling: It's all about celebrating YOU, and making you look and feel fantastic. During the photoshoot we will create images of you at your best that will not date. Together, we will decide what works best for you: you may bring multiple changes of clothes and get dressed up in your favorite clothes. And to be clear: Contemporary Portrait Photography is not to be confused with boudoir photography. Hence I expect you to bring clothes that you feel at ease in, consider bringing something sporty, elegant, fun, fashionista, vintage, the choice is yours. Why you should book a Contemporary Portrait Photoshoot. I believe that all people are beautiful – without exception. But 99% of my regular clients think they are not photogenic. My mission is to prove each and every person wrong. We usually start with headshots to build confidence and mutual trust and gradually move to the portraits. My role is to capture the essential natural beauty, and connecting with the soul residing in your body. My contemporary portraits are for real women and men, not models. I am a strong proponent of the natural beauty and think that too many women hide under too many layers of make-up. 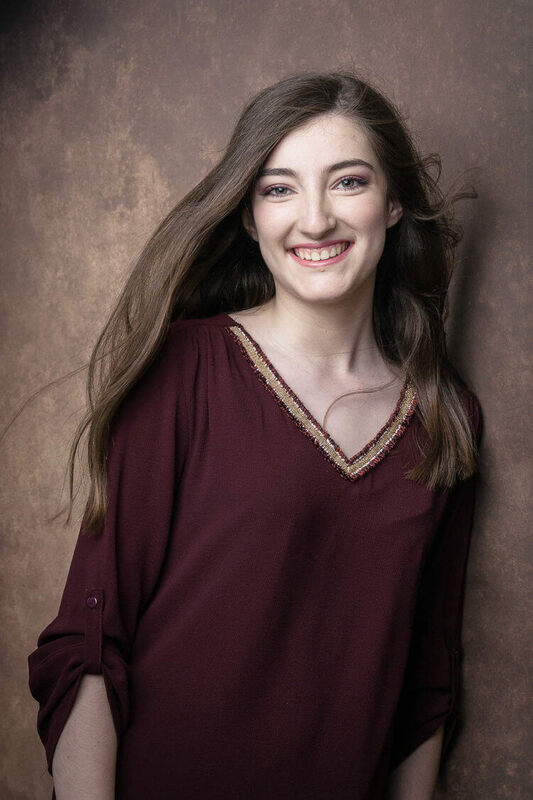 It is the great lighting and with my smooth direction for perfect posing for your body type that together we do create these stunning portraits. Treat yourself to beautiful portraits that feel right with your personality. There is nothing fake in the images, yet you will feel radiant, powerful, gorgeous and confident. Give yourself the gift of self-worth with this special experience. How to achieve these beautiful portraits. Pre-Consultation: We will either call or skype or meet briefly in person at my photostudio near Rive and Rue du Rhône. I want to learn about you, your style and your goals. Photoshoot: You arrive to the shoot with a set of your favorite clothes. Together, we will choose the best outfits for you that will make you feel amazing. Depending on the collection chosen, you either arrive with hair and make-up already done or will see my super-friendly make-up artist who happens to give invaluable tips for taking care of the skin, too. Selection: After the shoot I will choose the best images from the session and will process them with some basic editing for your private viewing and ordering session. Reveal: Once the selection process is completed, we will meet again within a week, for the reveal where you will choose the final images to edit and get printed. Delivery: the final products are delivered to you 2-3 weeks after the reveal. 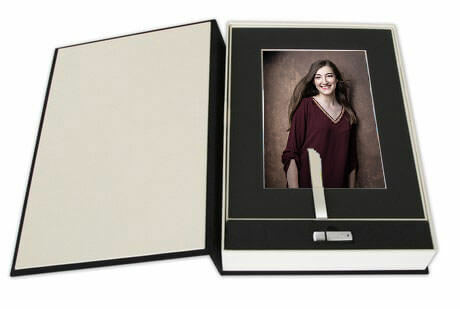 This is a beautiful keepsake box for you that holds up to 20 double-matted 30x20 centimeters prints of your most cherished portraits from your photo session. Each finalised printed image is also delivered on the included USB-stick as complmentary digital file (1800x1200 pixels) optimized for socialmedia to share with family and friends. Nothing says « I love you » as much as sharing a beautifully printed photographic image on special art gallery approved photographic paper. Or on a different support, such as canvas, super-bright acryl or even on brushed aluminum. The « Best of » images of your session, prepared for you to watch on your tablet, computer, and to share with friends and family. Digital collections include color correction and artistic cropping as well as very basic retouching (think of the one pimple popped up the day of the shoot). All images in the digital collections come optimized for your screen at 1800px wide at screen at 72dpi resolution.